In order to file a successful lawsuit, you have to actually suffer an injury. Otherwise, your claim will be dismissed and you will receive nothing. Any lawyer worth his salt will not take a case that has no merit. Depending on how serious your injuries are, you may have some pretty high medical bills. These bills have to be paid by someone. If you file an insurance claim and it’s paid right away, they’ll usually pay these for you. Depending on the insurance company, the money for your medical bills may be sent either to you or the doctor’s offices. If the money is sent directly to you, it is your responsibility to pay these bills. If you don’t, you can face both legal and financial consequences. You need to make sure you’re okay – This is the most important reason. You could have suffered injuries that aren’t visible. Also, you may not even hurt right after the impact. It’s important that you get the necessary tests to make sure you’re okay. You need to document your injuries – In order to recover in your lawsuit, you’ll have to prove that you were hurt. The only way to really do this is to submit proof of your medical records. You must show that your injuries weren’t caused some other way – The defendant’s lawyer may say you were hurt some other way. If you wait too long to get treatment, you may run into a problem. The defendant will claim that something happened after the accident that caused your injuries. When you receive treatment, you’ll obviously be billed for it. You shouldn’t pay these bills out of pocket. It’s important that you let the hospital know that you were involved in a car accident. Once you start getting bills in the mail, give them all to your car accident lawyer. He will communicate with the providers and let them know the bills are part of a lawsuit. Very few cases actually go to trial. Whether you pursue the insurance company or an individual, most cases are settled. Nobody likes to go to court. Trials are expensive and time-consuming. In fact, only about 5% of all personal injury cases go to court. Your Georgia car accident attorney is going to work hard to settle your claim. He’ll talk to the insurance adjuster and try to get your claim paid. If you file suit, he’ll negotiate with the other attorney to try to settle your case. After all of these things are paid, you’ll be left with a lump sum. This is the sum that will be paid to you after the settlement check clears. When the settlement is paid, your lawyer will cut checks to any medical providers who are owed money. If the bills are high, he may try to negotiate reduced payments. The same is true if the bills are old. Some cases take months or years to settle. Some medical providers would rather receive some money upfront than no money later. 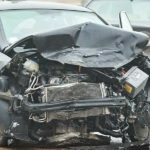 If you’ve been hurt in a car accident, you need to contact a Fayetteville car accident lawyer today. You need to focus on recovering from your injuries. Let your attorney handle the legal side of things. Call and schedule your free initial consultation today. You’ll also get a chance to ask your car accident lawyer any questions you may have. The consultation is free and you pay nothing until you settle your case.